Alvarez seemed to care less about the way the picture in the puzzle would look, when everything fit together, than about the fun of looking for pieces that fit. He loved nothing more than doing something that everybody else thought impossible. His designs were clever, and usually exploited some little-known principle that everyone else had forgotten. As quoted in Walter Sullivan, 'Luis W. Alvarez, Nobel Physicist Who Explored Atom, Dies at 77: Obituary', New York Times (2 Sep 1988). Quoted in David Stokes, Nicholas Wilson and Martha Mador, Entrepreneurship (2009), 190 without further citation. If you know the primary source, please contact Webmaster. Consider a cow. A cow doesn’t have the problem-solving skill of a chimpanzee, which has discovered how to get termites out of the ground by putting a stick into a hole. Evolution has developed the brain’s ability to solve puzzles, and at the same time has produced in our brain a pleasure of solving problems. In John Tierney, 'For Decades, Puzzling People With Mathematics', New York Times (20 Oct 2009), D2. Disinterestedness is as great a puzzle and paradox as ever. Indeed, strictly speaking, it is a species of irrationality, or insanity, as regards the individual’s self; a contradiction of the most essential nature of a sentient being, which is to move to pleasure and from pain. In On the Study of Character: Including an Estimate of Phrenology (1861), 202. Everything in nature is a puzzle until it finds its solution in man, who solves it in some way with God, and so completes the circle of creation. The Appeal to Life (1891), 315. I am not insensible to natural beauty, but my emotional joys center on the improbable yet sometimes wondrous works of that tiny and accidental evolutionary twig called Homo sapiens. And I find, among these works, nothing more noble than the history of our struggle to understand nature—a majestic entity of such vast spatial and temporal scope that she cannot care much for a little mammalian afterthought with a curious evolutionary invention, even if that invention has, for the first time in so me four billion years of life on earth, produced recursion as a creature reflects back upon its own production and evolution. Thus, I love nature primarily for the puzzles and intellectual delights that she offers to the first organ capable of such curious contemplation. I wish people would more generally bring back the seeds of pleasing foreign plants and introduce them broadcast, sowing them by our waysides and in our fields, or in whatever situation is most likely to suit them. It is true, this would puzzle botanists, but there is no reason why botanists should not be puzzled. A botanist is a person whose aim is to uproot, kill and exterminate every plant that is at all remarkable for rarity or any special virtue, and the rarer it is the more bitterly he will hunt it down. Samuel Butler, Henry Festing Jones (ed. ), The Note-Books of Samuel Butler (1917), 281. In Science Today (May 1980), 35. In Vladimir Burdyuzha, The Future of Life and the Future of Our Civilization (2006), 374. I’m trying to assemble pieces of this great jigsaw puzzle of the origin of the solar system, to see if we can illuminate our own processes on the Earth more fundamentally. Later scientific theories are better than earlier ones for solving puzzles in the often quite different environments to which they are applied. That is not a relativist's position, and it displays the sense in which I am a convinced believer in scientific progress. The Structure of Scientific Revolutions, 2nd edition (1970), 206. Mathematics began to seem too much like puzzle solving. 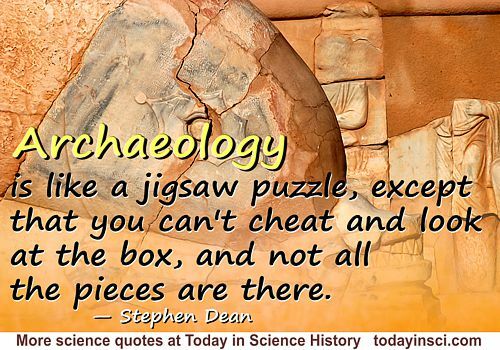 Physics is puzzle solving, too, but of puzzles created by nature, not by the mind of man. Quoted in Joan Dash, 'Maria Goeppert-Mayer', A Life of One's Own, 252. Nothing puzzles me more than time and space, and yet nothing puzzles me less, for I never think about them. Letter to Thomas Manning (2 Jan 1810), collected in The Works of Charles Lamb: The Letters of Charles Lamb (1851), Vol. 1, 155. 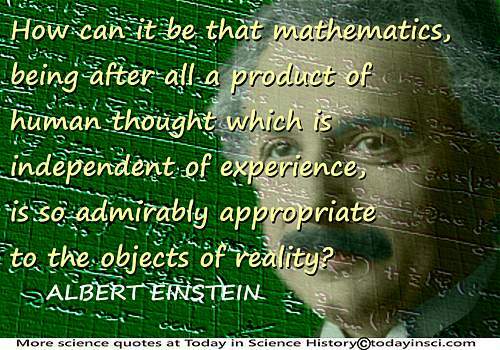 The development of mathematics is largely a natural, not a purely logical one: mathematicians are continually answering questions suggested by astronomers or physicists; many essential mathematical theories are but the reflex outgrowth from physical puzzles. The discovery which has been pointed to by theory is always one of profound interest and importance, but it is usually the close and crown of a long and fruitful period, whereas the discovery which comes as a puzzle and surprise usually marks a fresh epoch and opens a new chapter in science. Becquerel Memorial Lecture, Journal of the Chemical Society, Transactions (1912), 101(2), 2005. Quoted by Simon Flexnor in 'The Scientific Career for Women', a commencement address at Bryn Mawr College (2 Jun 1921), The Scientific Monthly (Aug 1921), 13, 98. The test of a theory is its ability to cope with all the relevant phenomena, not its a priori 'reasonableness'. 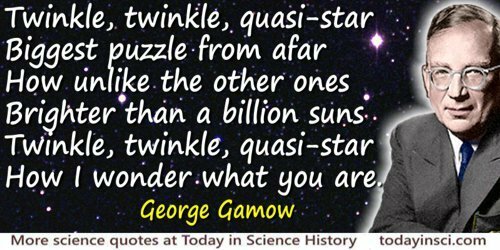 The latter would have proved a poor guide in the development of science, which often makes progress by its encounter with the totally unexpected and initially extremely puzzling. 'From DAMTP [Department of Applied Mathematics and Theoretical Physics] to Westcott House', Cambridge Review (1981), 103, 61. The truth may be puzzling. It may take some work to grapple with. It may be counterintuitive. It may contradict deeply held prejudices. It may not be consonant with what we desperately want to be true. But our preferences do not determine what's true. We have a method, and that method helps us to reach not absolute truth, only asymptotic approaches to the truth—never there, just closer and closer, always finding vast new oceans of undiscovered possibilities. Cleverly designed experiments are the key. In Matter, Earth, and Sky (1965), 568. Quoted earlier in Newsweek (25 May 1964), 63, Pt 2, 63. 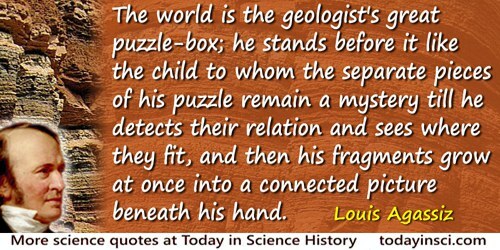 We have all heard of the puzzle given to Archimedes…. 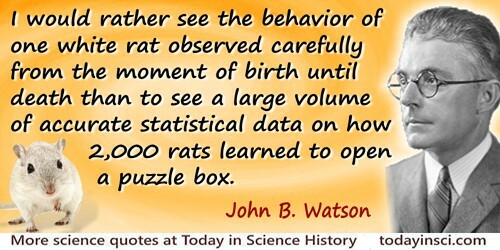 His finding that the crown was of gold was a discovery; but he invented the method of determining the density of solids. Indeed, discoverers must generally be inventors; though inventors are not necessarily discoverers. From 'How Discoveries Are Made', Cassell's Magazine, Illustrated (May 1908), 629. When puzzled, it never hurts to read the primary documents–a rather simple and self-evident principle that has, nonetheless, completely disappeared from large sectors of the American experience. Winwood Reade … remarks that while a man is an insoluble puzzle, in the aggregate he becomes a mathematical certainty. You can, for example, never foretell what any one man will do, but you can say with precision what an average number will be up to. Individuals vary, but percentages remain constant. So says the statistician.